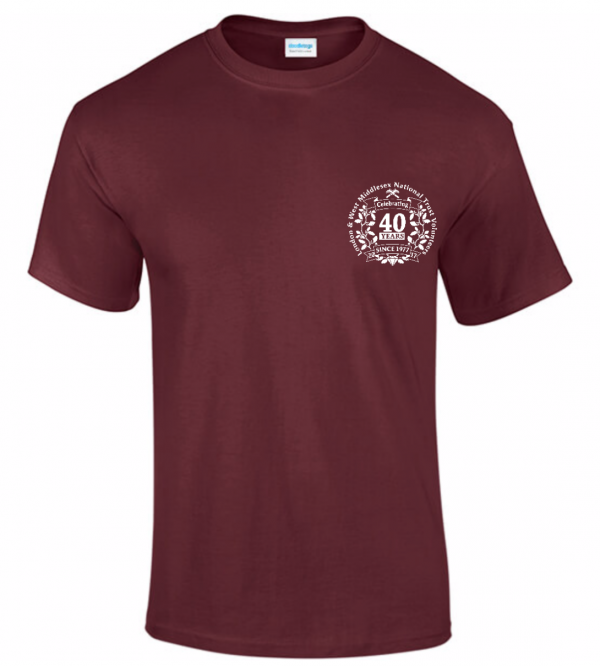 Simply, a printed maroon t-shirt, in a similar design to the polo shirt on display at the 40th anniversary working weekend and the barn dance. Crafted from a durable cotton. 100% cotton pre-shrunk jersey knit. Seamless twin needle 7/8″ collar. Taped neck and shoulders. Twin needle sleeve and bottom hems. Quarter turned to eliminate centre crease. Product images are for illustration only, colours and print layout may change slightly. 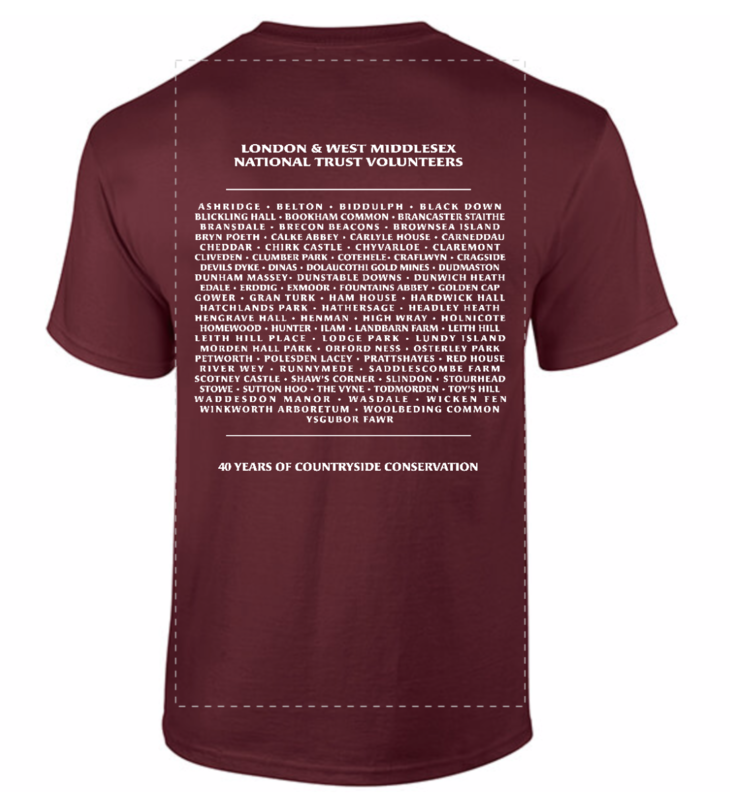 (The dashed lines shown on the image of the rear will not be printed). Garment information.